Welcome to Scottsdale Premier Soccer Club. We are a Competitive Club based in the Old Town Scottsdale area. Premier's Mission: Commitment to excellence with focus on disciplined thoughts, disciplined actions, and cohesive teamwork. *If you fail to attend your tryout time and date and are still interested in playing for Premier SC, contact Soccer@scottsdalepremier.com and a coach will contact you. Tryouts for the 2019 - 2020 season are from May 7-11, 2019. 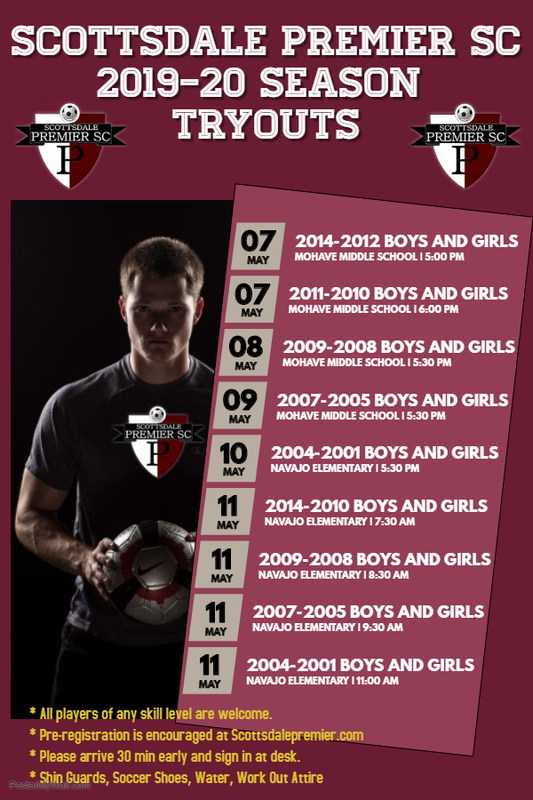 A general registration and tryout schedule can be found below with times and dates. Please come prepared with Ball, Shinguards, Shorts, Shirt, and Water. We've partnered with TRUNITED, a company that allows us to hold a continual fundraiser. You can earn funds for the club by buying the products you already buy anyway! Registration Fee – Due immediately upon acceptance of a roster positions. Congrats to the 02 Premier Boys for Winning the 2019 RSL-AZ Ostrich Festival this weekend!! Great Job Boys! 2001 Boys Win Papa Johns Schools Out For Summer Tournament! 2001 Boys are Presidents Cup Champions! U10 Boys - Legacy Holiday Classic Champions!! 02 Premier Select beat FBSL Croacia 02 3-1 to become 2016 tournament Champions! 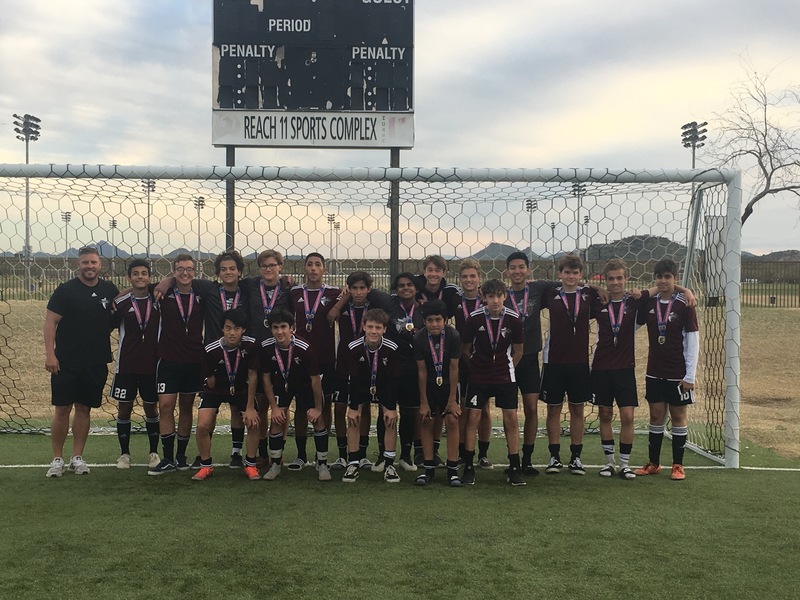 U16 Boys Take Gold at 2016 Ostrich Festival. U16 00 Premier Boys Beat AYSO 1410 STRIKERS 1-0 to win Gold! 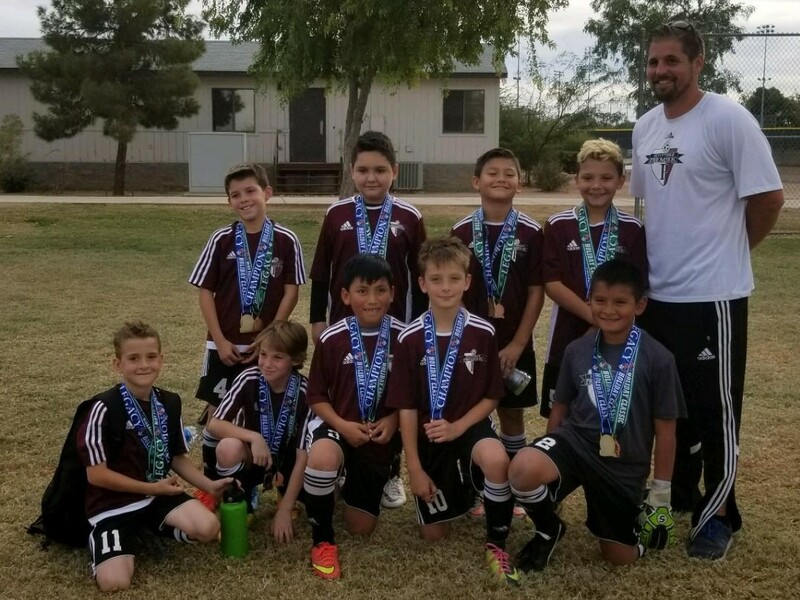 © Scottsdale Youth Soccer League. All rights reserved.